1. An organic rose water that will hydrate your skin, absorb excess oil, and brighten your complexion — without triggering any Rosacea. CHA CHING. Get it from Amazon for $17.49. 2. A soothing lotion to cleanse your sensitive face without making it feel super tight or overly dry. Dare I say, your skin will feel... GOOD!? 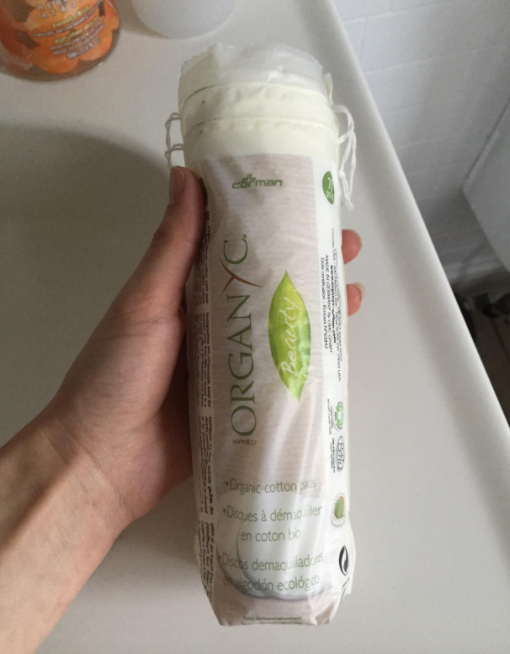 This cleansing lotion contains organic almond and plum kernel oils, which work overtime to get rid of all the dirt, crud, and oil on your face without dehydrating your skin in the process. 3. A daily moisturizing cream ideal for both your face and body! If you've ever struggled with eczema, you need to try this paraben-, formaldehyde-, dye-, and fragrance-free formula ASAP — over 2,000 people swear by it. Promising review: "I have struggled with very persistent eczema for years and this product has been a godsend. I have never had any irritation from this lotion and it has gone miles towards healing my rashes and open wounds. I have used this religiously for about two years now and I am never going back!" —Lauren B. 4. A face cream rich with vitamins and antioxidants. Dullness? Consider that a thing of the past because this stuff will have your skin GLOWING. This neat little jar contains vitamins b, c, and e, as well as antioxidants to keep your skin looking (and feeling) super healthy. Plus, it's allergy-tested and non-comedogenic AKA your skin won't erupt with pimple volcanoes after using this. PRO TIP! If you have super dry skin, this might work better as a daily cream for you as opposed to a nightly one! 5. Cruelty-free hydrocolloid acne stickers that absorb pus and fluids (yum) without creating flaky, dry spots in the process. Consider your zits, zapped — overnight. 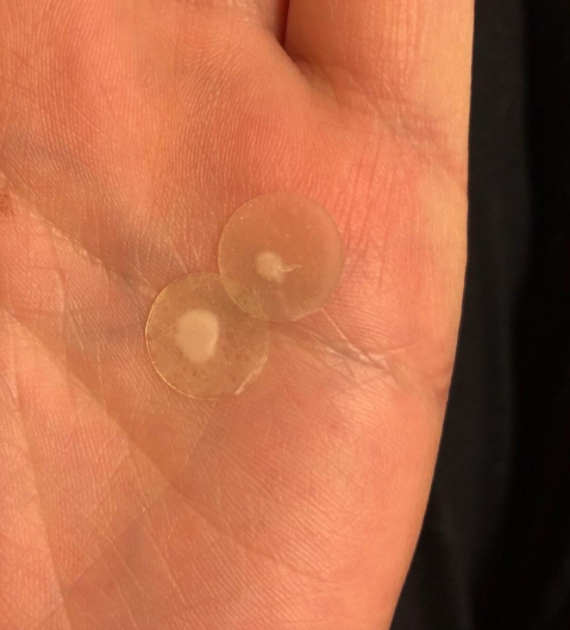 Just slap one of these patches on a pimple before you go to bed at night — you'll wake up with a pimple that is now gone or seriously visibly reduced. 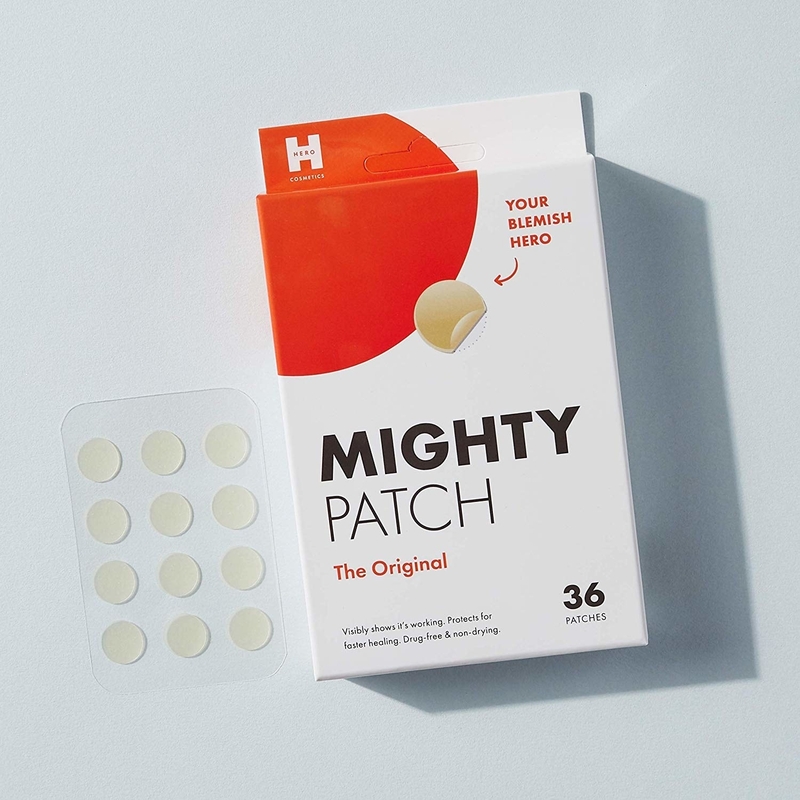 These patches are also great for people who ~pick~ at their acne. Get a pack of 36 from Amazon for $12.99. Your skin will drink this vegan, dye-free serum right up! 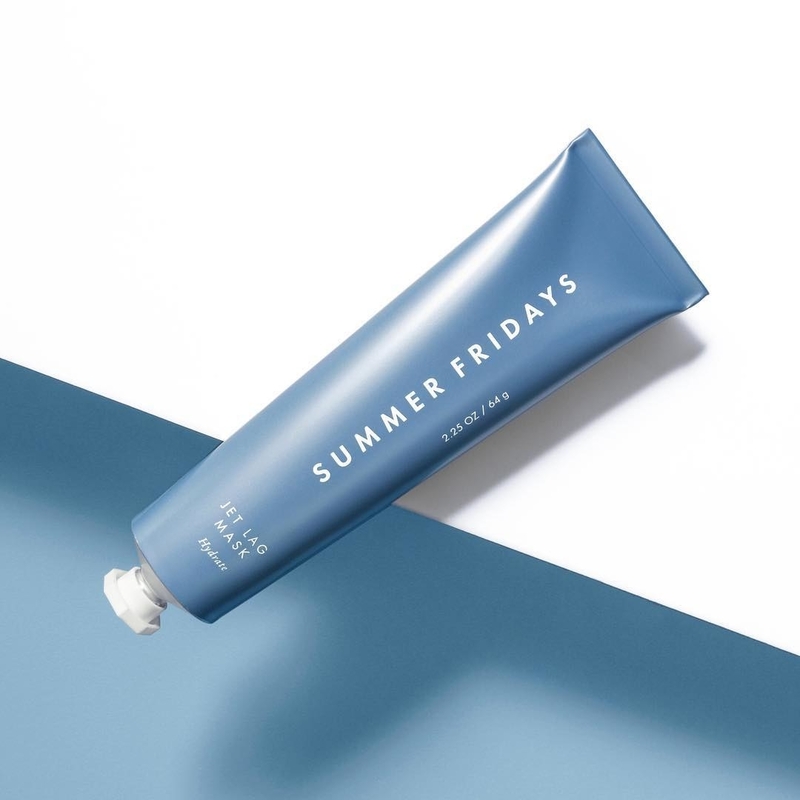 It's super hydrating, doesn't leave behind a film of gross grease on your face, and will balance out combination skin with the snap of your pretty little finger. 7. A facial scrub to slough away the dead skin cells that have marked your chin as their final resting place. This grapefruit and lemon balm formula will work to exfoliate and brighten your skin without any pimple disasters. This facial scrub can be used on the daily, but you know your skin best! Only use this when *you* think it's necessary. 8. A soothing mask (infused with shea butter and chamomile!) packaged in single-use capsules, meaning you can stash these in your carry-on for that next Caribbean getaway. Get a pack of five from Amazon for $17.99. 9. A vegan, cruelty-free facial toner that was touched by the gods. This can do everything from brighten skin and fight pimples to remove those last traces of makeup and restore your skin's pH balance. 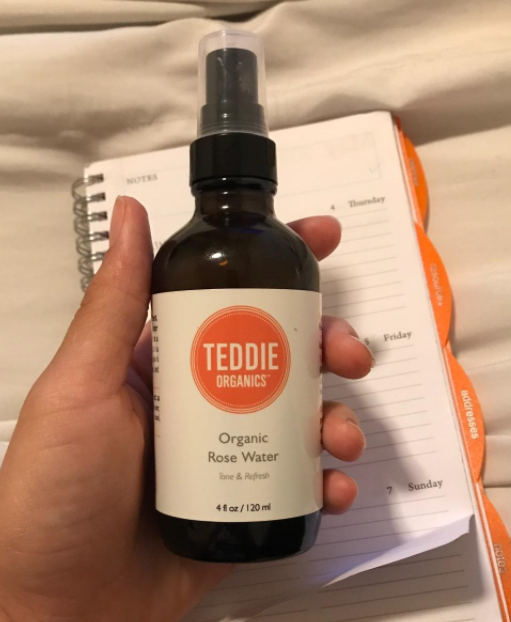 This hydrating toner is formulated with 100% organic moroccan rose water and has over 1,100 positive reviews with a 4.7/5 star rating. I truly mean it when I say damn, where has this been all my life? 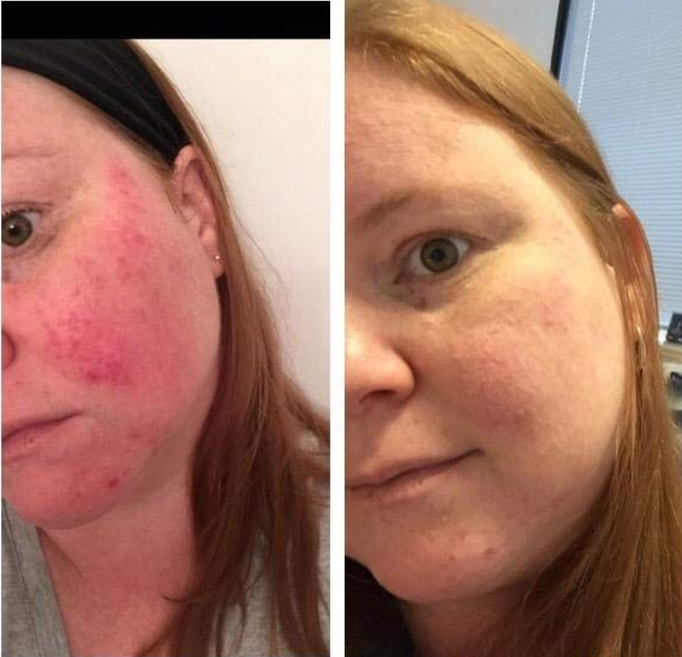 Promising review: "I have sensitive, acne-prone skin that’s on the dry side. I’ve spent ridiculous amounts of money on products to cleanse and relieve my skin, and this is the only product I’ve ever used that I’ve bought again because it actually works. I instantly saw an improvement in the clarity and hydration of my skin after just the first use!" —Ashtyn M.
Get it from Amazon for $18.52. 10. A travel kit filled with micellar cleansing water, a daily moisturizing lotion, and an anti-puffiness treatment specifically formulated for sensitive skin. This pack is perfect to take with you on-the-go, BUT! It also serves as a way to test out the products above without shelling out money for the full-sized bottles. Itching to try that Bioderma micellar water everyone raves about? Here's your (inexpensive) chance! 11. A hypoallergenic night cream that will work all night long to moisturize and brighten your skin, while fading the appearance of dark spots. This soy complex night cream is also non-comedogenic, so it won't break you out like other thicker creams tend to do. Get it from Amazon for $13.47. 12. A hydrating cream face mask created to give tired, dull, stressed skin some serious pampering. Serious moisture and serious glow? Pass that marriage certificate because I ~dew~. This cult-favorite mask is packed with vitamins, ceramides, antioxidants, and gently exfoliating extracts to give you a dewy complexion that every ~no makeup makeup~ guru would envy. Reviewers have used this as an eye mask, a moisturizer, an overnight mask, and as a primer for makeup in the AM! 13. A foaming cleanser free of artificial perfumes, meaning your nose won't feel personally attacked when you go to give your face a good cleansing. Thanks to the geranium and chamomile, this stuff will cleanse and soothe your skin. No redness! No leftover makeup! Get it from Amazon for $6.66. 14. An toner lotion packed with alcohol-free, nutrient-rich ingredients. World, say hello to ermented chaga and coprinus mushrooms — they can do everything from calming cystic acne to fading scarring. A few reviewers have also used this for body acne, with truly wonderful results! Get it from Sephora or Origins for $34. 15. 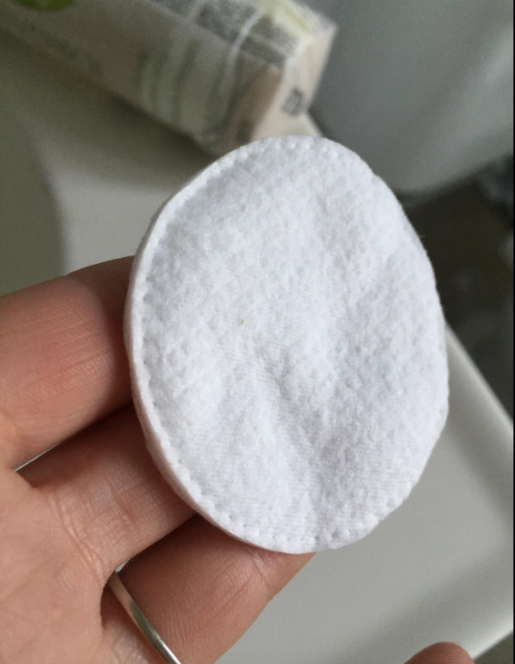 Biodegradable cotton rounds perfect for applying toner, taking off face masks, removing eye makeup, etc. They're free of any icky materials that would irritate your skin! Get a pack of 70 from Amazon for $2.99. 16. A skin-fitting, luxury sheet mask that will deliver a much-needed dose of dew and hydration, thanks to a rich combo of botanical oils and vitamin e.
If you have dry skin, you'll definitely want to add this to your weekly skin routine. Get it from Sephora or Tatcha for $12. 17. A gentle cleansing milk made from witch hazel — and yeah, it's definitely magic. This is designed to cleanse your skin without making it OMG-I-am-dying-over-here dry. 18. Cleansing cloths that will remove dirt, trapped oil, and makeup — I'm looking at you, waterproof mascara — without simultaneously stripping your face of moisture. Get a pack of 50 from Amazon for $8.54. 19. Acne treatment pads with salicylic acid and a whole bunch of other hearty ingredients (SEE BELOW) to stop acne monsters in their tracks. But do you know what these pads are missing? Alcohol, meaning your skin won't become painfully dry. 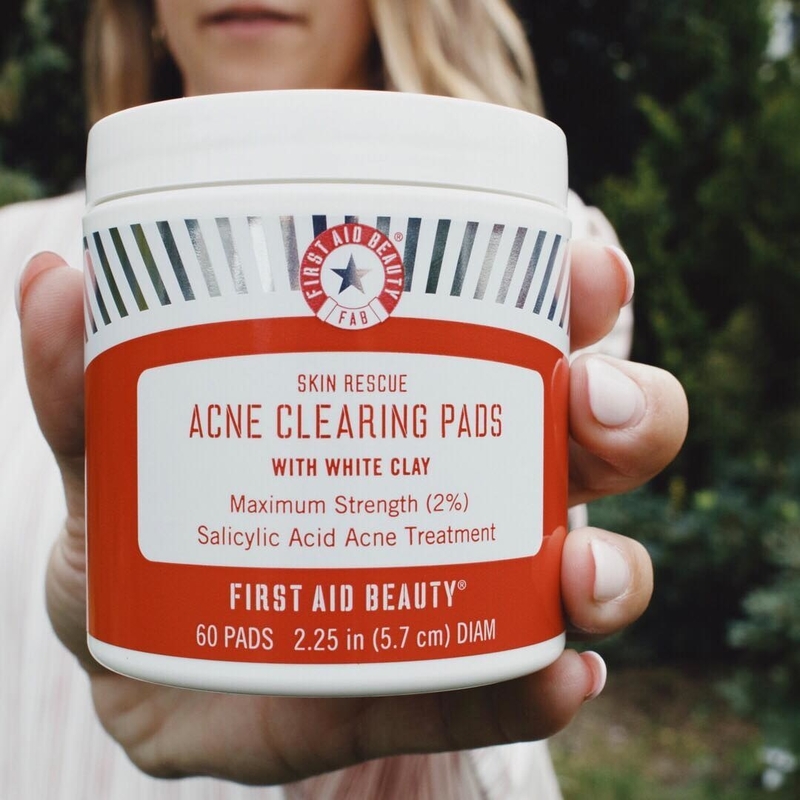 These treatment pads are infused with kaolin clay (to absorb the skin), evermat (to minimize pores and reduce shine), and tea tree oil and willow bark (to soothe the skin and promote exfoliation). Get a pack of 60 from Sephora or First Aid Beauty for $30. 20. A lightweight body lotion that is fragrance-free, absorbs quickly, and is non-comedogenic — meaning you won't have to struggle with *shudder* any more back acne. This delectable lotion is filled with ceramides and hyaluronic acid and will actually leave your skin feeling moisturized, which, in the winter? If you have ultra dry skin? It's very hard to find a lotion that will do that. Promising review: "This is a holy grail body lotion right here! Fragrance-free, does not irritate sensitive skin, and it absorbs completely without leaving a slimy residue behind! This is truly the best out there." —Joanne M.
21. A lip protectant that contains SPF 30, because the sun? Not to alarm you but IT'S DANGEROUS, and a ton of other SPF-having lip balms are just not kind to sensitive skin. This same formula is available as a regular facial sunscreen ($14.73), as well! Get it from Amazon for $5.20. 22. A gel-like cleanser that'll have your waterproof mascara quivering in fear. This gently dissolves all the makeup and grime on your face, no harsh rubbing required. 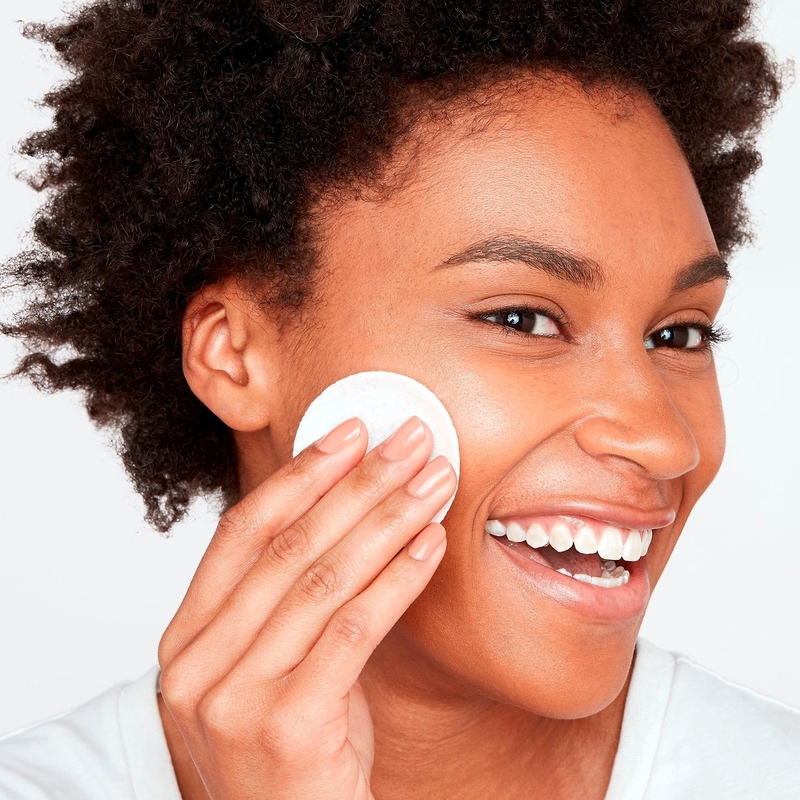 Psst, this cleanser is made from cleaning agents found in contact solution! 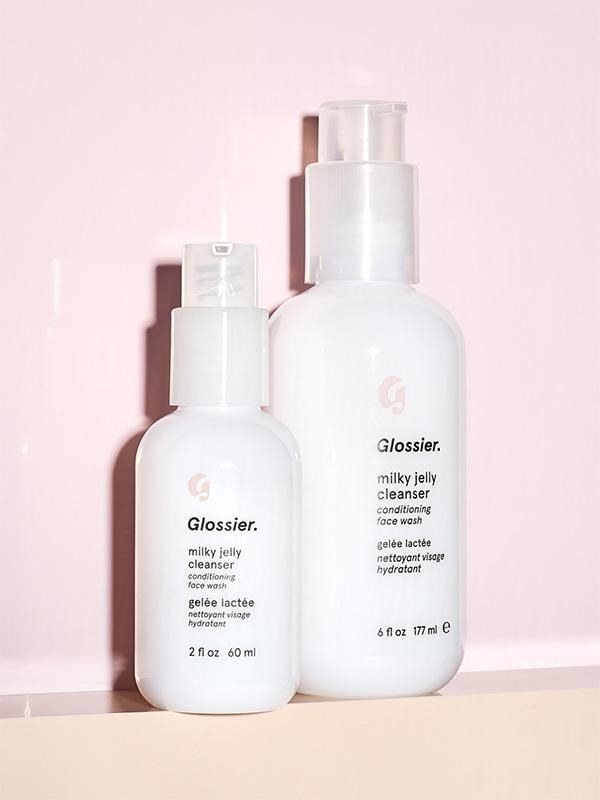 Get it from Glossier for $9+ (available in two sizes). ...all which work together to provide intense hydration and collagen production for the (super delicate and easily irritated) skin around your eyes. Wrinkles? Dryness? I don't know either of them.